On November 26, 2013, singer Tinashe released her third mixtape titled Black Water. It served as a follow-up to her 2012 mixtape Reverie. Black Water carried the same sound PBR&B and alternative hip hop sound from her debut mixtape, but it also touched on new genres like electronica and neo soul. It was preceded by the lead single "Vulnerable" featuring rapper Travis Scott on November 20, 2013. I remember when I first listened to this mixtape way back in 2017 on Tinashe's SoundCloud page. From the title track "Black Water" to the closing song "Ain't Ready", Tinashe has proved to me that she is a force to be reckoned with. I love all of her mixtapes dating back to In Case We Die! And the fact that she made these mixtapes in her home recording studio, just makes me love her even more as a fan. My favorite songs from Black Water are 1 for Me, Midnight Sun, Secret Weapon and Black Water. Thank you, Tinashe, for this wonderful mixtape of yours. 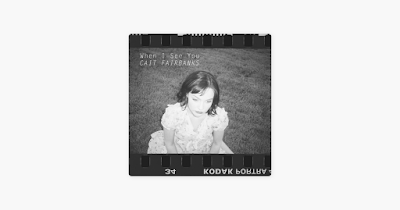 I can't wait for you to make more mixtapes, like this one, in the near future. Make sure that you listen to Black Water on streaming platforms like InGrooves, SoundCloud and Datpiff. 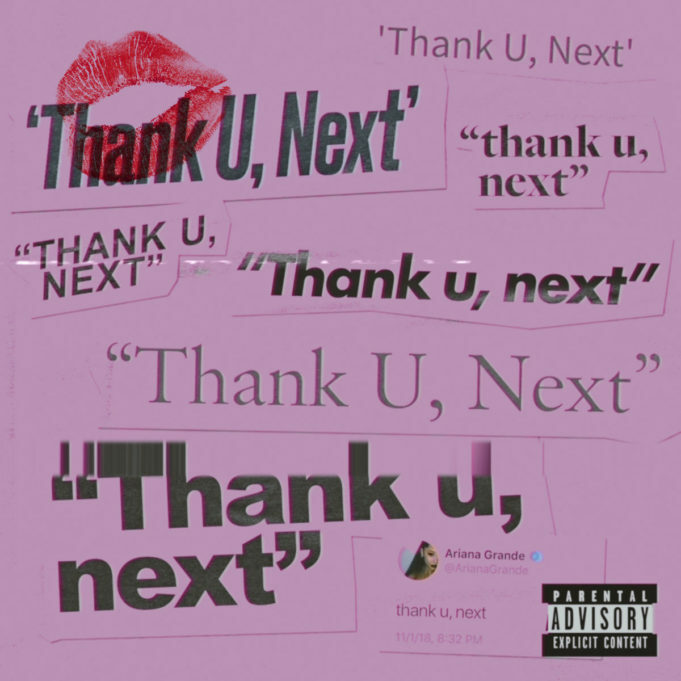 Thank U, Next (stylized in lowercase) is the lead single from Ariana Grande's fifth studio album of the same name that was released on November 3, 2018, through Republic Records. On November 2, 2018, Ariana tweeted some lyrics to the song on Twitter, her ex-fiancé Pete Davidson joked about their broken engagement on Saturday Night Live. The song was released by surprise on November 3, with no prior announcement. It was also released thirty minutes before Saturday Night Live came on. Coincidence? Maybe. It is described as a self-empowerment song that talks a lot about some of Grande's past relationships. She begins on the first verse with, "Thought I'd end up with Sean/ But he wasn't a match/ Wrote some songs about Ricky/ Now I listen and laugh/ Even almost got married/ And for Pete, I'm so thankful/ Wish I could say "thank you" to Malcolm/ Cause he was an angel". 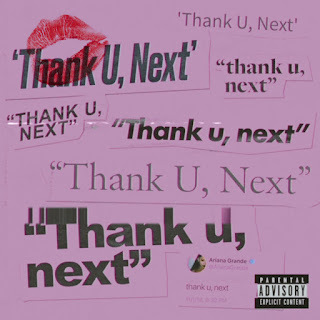 But then, on the chorus lyrics, Grande is very thankful that all of her failed relationships with these guys has helped her as a person to grow singing, "Thank you, next/ Thank you, next/ Thank you, next/ I'm so f***in' grateful for my ex/ Thank you, next/ Thank you, next/ Thank you, next". The singer also gets very personal on the bridge of the track singing, "One day I'll walk the aisle/ Holding hands with my mama/ I'll be thanking my dad/ 'Cause she grew from the drama/ Only wanna do it once, real bad/ Gon' make that s*** last/ God forbid something happens/ At least this song is a smash". Ariana's parents divorced when she was only nine years old, so those lyrics on the track have sentiment value to the singer. Also, the "god forbid" part could be a nod to when Pete Davidson joked on SNL in September about them breaking up with saying "God forbid". Overall, I love, love, love Thank U, Next. Ariana has never done a breakup song before and for that, she did a very good job of that. I have never heard sound this good until I listened to Thank U, Next by Miss Grande. Okay, Arianators. I need all of you to make sure that you go and stream "Thank U, Next" on all streaming platforms like iTunes, Spotify, Tidal and so on. There is a chance that Ariana could have her first number one single on the Billboard Hot 100 chart by next week! @ArianaTodayNet is holding a streaming party for "Thank U, Next today at 5pm.